It’s that time of year again. People all around the world have their noses crammed in books, notes, and power points, studying for upcoming exams. Whether you are a college student prepping for the GRE or final exams, or a high schooler getting ready for that big SAT, you are probably nervous just thinking about those exams. Don’t fret – here’s a compilation of a few duas that you would probably like to have in your pocket, and on your tongue, before test day. Allaahumma akrimnee binooril fahmi wa kharrajanee min z’ulumaatil wahmi waftah’ a’lainaa abwaaba i’lmak. Wan shur a’lainaa khuzzaanu ma’rifatika yaa arh’amar raah’imeen. Allaahumma waffiqnee fil mut’aala’ti bih’ablee jamee-i’ mushkilaatil masaa-ili minal kutubi birah’matika yaa arh’amar raah’imeen. Salla-l-laahu alaa Muhammad wa aal-e Muhammad. Allahumma inni as’aluka yaa mudhakkira-l khayr wa faa’ilahu wa-l-aamimira bihi dhakir-ni maa ansaani-hi-shaytan. سُبْحانَ مَنْ لا يَعْتَدي عَلى أهْلِ مَمْلَكَتِهِ سُبْحانَ مَنْ لا يَأخُذُ اَهْلَ الاَْرْضِ بأَلْوانِ الْعَذابِ سُبْحانَ الرَّؤوُفِ الرَّحيمِ اَللّـهُمَّاْجَعلْ لي في قَلْبى نُوراً وَبَصَراً وَفَهْماً وَعِلْماً اِنَّكَ عَلى كُلِّ شَي قَديرٌ . You may often experience frustration, fear, and anxiety in exams, which may adversely affect your performance. Recite this dua, reported by Anas (may Allah be pleased with him), that the Prophet (pbuh) used to say when something upset him. Could you please post the Transliteration for Dua to remember forgotten things from arabic to english. Jazakallah. Please correct the pronunciation of arbi words , because most of the brother/ sister does not read arbi properly so they preferred english .if we read differently it change the all the meaning , so I request to you please correct it. Jazakallah. Please edit dua. Some of them is wrong. For an example:”When Studying Something Difficult” edit here “eza ma shi’ta sahal” .There is no meem. Wadhuu is required for reciting this duaas ? I do not know every much about anything but as I read the FIRST DU’A above; the Arabic text and the Roman/Latin alphabet transliteration do NOT coincide. i’lmak. Wan shur a’lainaa khuzzaanu ma’rifatika yaa arh’amar raah’imeen. Allaahumma waffiqnee fil mut’aala’ti bih’ablee jamee-i’ mushkilaatil masaa-ili minal kutubi birah’matika yaa arh’amar raah’imeen. For example, the word خُزَّانَ or its translation appears to be wrong or inappropriate, and that the word كنز and/or one or other of it’s derivatives was intended, But w’Allahu aalam. Similarly, the word بِحَلِّ does not comport with its purported transliteration: bih’ablee. – the harakaat (vowelling) of the word اَنّسَانِهِ, appears to be incorrect. based on the transliteration for that word, ANSAANI-HI, the shadda/tashdeed on the letter NOON appears to be inappropriate, but Allahu aalam. In the du’a to “Remember Forgotten Things”, the vowelling on the word الرَّؤوُفِ ,اْجَعلْ, and كُلِّ شَي قَديرٌ also seem to be inappropriate. But once again, Allahu aalam. Also there appears to be some discordance in Arabic text and Roman/Latin transliteration of the word HAZN/HUZN/ الحزن of the words. If it is in fact I who am in error, I humbly ask for your forgiveness. You on the Day of Judgment. Is it essential to recite these duas in Arabic or we can say it in our own language ? As-salam-al-yekum, Hi I am not doubting you but can you provide reference of hadith or quran for above dua relating to “forgotten things which prophet muhammad(PBUH) told imam ali” so that i can check it through it original soruces because Quran says always cross check information before passing to someone else (surah 17/36) So i am trying too little bit cautious as there many websites which are misleading our muslim ummah by publishing islamic content and not giving references of quran or hadith. 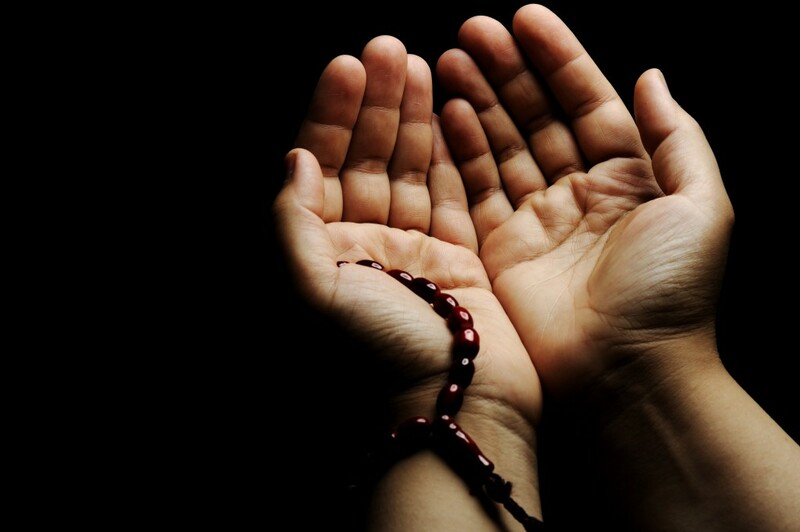 Thank you for such beautiful duaas. Please correct the English-Arabic under the heading: “To Suppress Anxiety and Fear”. Also rephrase the ending line of the text.